FMA Summits: FMA Summits: 20th Progressive Energy and Manufacturing Summits a Great Success! FMA Summits » Latest FMA Summits News » Facilities » FMA Summits: 20th Progressive Energy and Manufacturing Summits a Great Success! 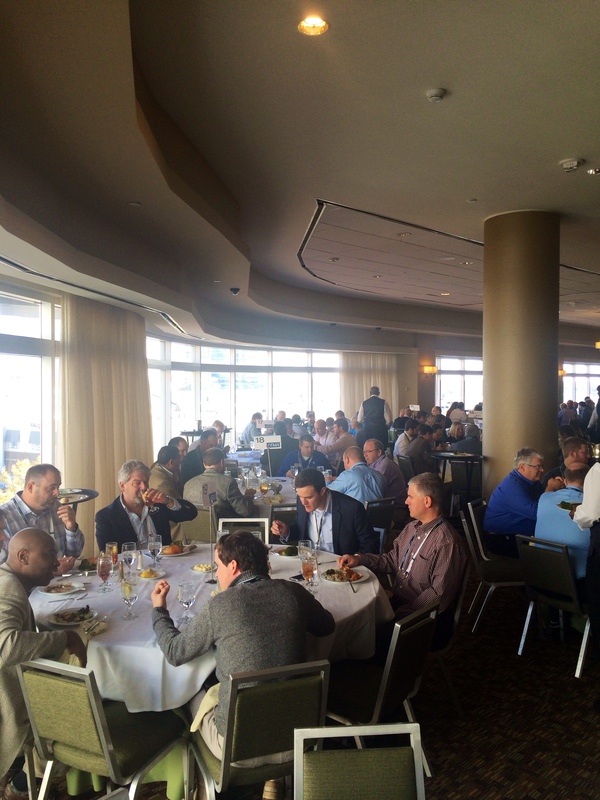 One of the pre-assigned Networking Luncheons in full swing at our 20th Progressive Energy & Manufacturing Summit in Atlanta, November 17th – 19th, 2014. The end of 2014 was marked by the Progressive Energy, Environment & Sustainability #20 and Manufacturing Summit. Both FMA Summits took place at the Westin Buckhead Atlanta introducing topics ranging from energy efficiency, cost reduction and environmental remediation to continuous improvement and lean manufacturing; the two tracks presented simultaneously. 25 Solution Providers had the opportunity to interact with over 150 Delegates interested in various technologies and services presented at the Summit. Over 400 one-on-one meetings were scheduled yielding ample opportunities for networking and relationship building. “The level of customer was outstanding as the customers were buyers. The format of the presentations was excellent!” enthused Gerald Conboy, Vice President Financial Solutions for Doosan Fuel where can i buy lamictal Cell Technology. Over the course of the two day Summit, presentations across both tracks introduced new topics that have become increasingly relevant in industry today. The Manufacturing track focused on Continuous Improvement, Corporate Culture Shifts and Lean Manufacturing Strategies with experts from 3M, LORD, Raytheon, Interface, Husqvarna and BASF weighing in with their success stories and insights. Our Energy stream saw new technologies presented from Fuel Cell Technology and its growing impact on facility cost and energy savings to Data Visualization and Fault Detection & Diagnoses; increasing the depth of the Summit together with retrofit and energy management solutions discussed as well. The Future Facility Summit Series will begin with their first scheduled at the Westin Lombard Yorktown Center in Chicago, IL for May 27th-29th, 2015. FMA Summits facilitates relationships between senior level decision makers of commercial, industrial, institutional and retail facilities across North America and companies that provide Total Life Cycle Management & Total Energy Management solutions. For our Solution Providers, our services offer an effective strategy for increased sales and for our Attendees- the achievement of reduction and efficiency goals.